17. 4. 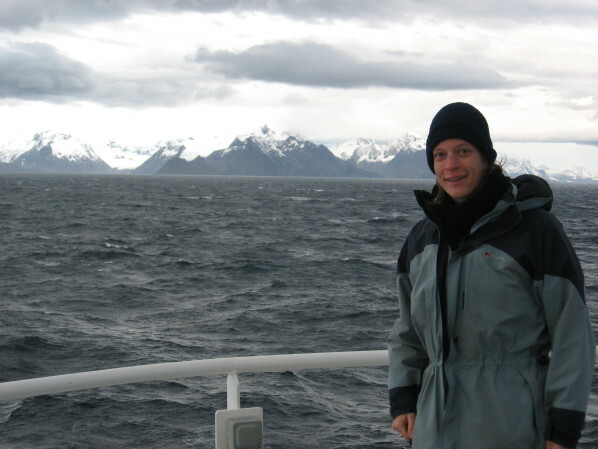 2013 | Dr. Veerle Huvenne maps deep sea environments in order to chart different habitats and ultimately their biodiversity, helping to preserve these fragile exosystems in cases of deep-sea drilling or mining. She is a researcher at the National Oceanography Centre in Southampton, UK. AcademiaNet: A big area of your research involves looking at cold water corals. How do the corals in cold places like the Atlantic differ from those in tropical waters such as off Australia? Dr. Veerle Huvenne: Tropical corals live in symbiosis with algae, and the corals get a large part of their nutrition via the algae's photosynthesis. This is not true for cold water corals, which don't rely on algae but are pure filter feeders instead. Cold water corals, or deep water corals as they are also known, have to obtain all their nutrition from whatever they can capture with their tentacles that floats past in the current. However, this also means they can live at much greater depths, outside the photic zone, beyond the depth where sunlight penetrates. 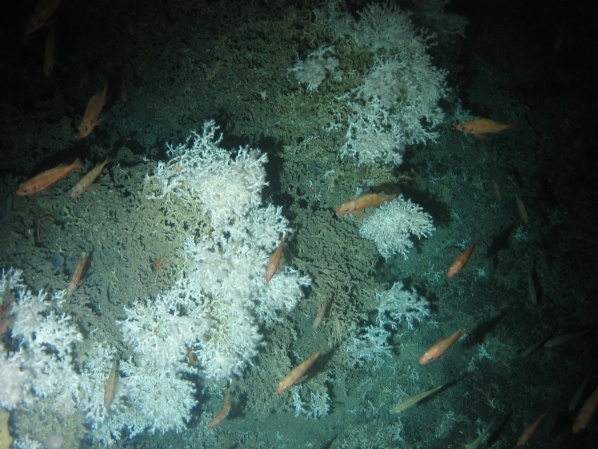 You've recently been looking at how cold water corals survive in submarine canyons. What have you found about how corals grow in this environment? They grow in the most crazy shapes and settings. Most of the time people find cold water corals as either small patches or fairly large reefs or mound structures, but mostly placed on a horizontal surface building upwards. The walls in submarine canyons can be very steep, up to vertical or even overhanging. Cold water corals that live in this environment are able to attach themselves to these vertical surfaces and filter from this position. What's the advantage for corals of living on the wall of the canyon versus being on the floor? Submarine canyons are the main pathways for sediment to travel from shallow waters to the deep sea. Current speeds through canyons can be very high, actually too high for the corals to survive. Coarse sediments can come along as well that would work as an abrasive substance. Corals that are a bit higher up on the canyon wall can capture nutritious particles, such as zooplankton, that are washed down the canyon but they don't get degraded by the abrasive coarse sands that travel at the bottom of the canyon. Cold water corals | in the North Atlandtic, with fish of the species "Sebastes"
Another key strand of your work is mapping the sea bed. How do you go about measuring structures that are under several kilometres of water? It's probably very much a cliché by now but it's a sad statistic that we probably know more about the surface of the moon – or, these days, the planet Mars – than we do about the deep oceans. However with new technologies, like remotely operated vehicles or autonomous underwater vehicles, we can actually get down there and get more detail about these complex environments. My task is to map them out and get the spatial structure, and also to help the biologists to map out the different species that occur and which environment they live in. Why is it important to map these deep sea environments? Resources are getting scarce here on terrestrial ground, so people are looking at the deep oceans to mine hydrocarbons, rare earth elements and other scarce metals. Besides this industrial activity, also fisheries are moving into deeper and deeper waters, but actually we don't know what's there and we might destroy a lot of our ecosystem without knowing. So it's really important to get that knowledge to help sustainable marine planning. What are the main types of technology that you use on your research expeditions at sea? We use a lot of acoustic techniques – mostly multibeam echosounders and sidescan sonar. Traditional single beam echosounders just measure the depth below the ship, whereas multibeam echosounders measure the depth across an entire strip of the sea floor, so they tell us a lot more about the bathymetry, the land relief under water. They also give an indication of sediment type due to the strength of acoustic return: sand and rock will give a much stronger echo than watery mud. Sidescan sonar works more or less on the same principle, but it is a cheaper method of mapping. Sidescan sonar, however, just reports the strength of the returns – so it only tells you about the sediment, it doesn't tell you about the depth. Nowadays you can have massive systems installed on the bottom of ships that allow you to map down to the deepest parts of the ocean, or you can have very small systems that go on to remotely operated vehicles. The trade off between the two is that if you use the big systems, your resolution will not be very good, whereas if you have one of the small systems on an autonomous underwater vehicle, it can get much closer to the seabed and provide much higher resolution maps. The only thing is that with the big systems you can cover much more ground than you do with the small systems in the same time. The project you're working on at the moment, CODEMAP, is taking a new approach to mapping, using the heterogeneity of the seabed as a proxy for biodiversity rather than measuring the biodiversity directly. How does this approach work? This is indeed the aim of the project, to quantify the heterogeneity of the terrain. Some bits are very smooth and flat and some bits are very irregular, with steep slopes and overhangs, and we want to put a number on that, quantifying that irregularity and the patchiness of the terrain. We will then try to put together a statistical method to correlate the heterogeneity that we have quantified with actual measures of biodiversity that people have obtained traditionally. The problem with using solely traditional methods is that they are very time consuming – you can imagine if you get a box of sediment or net full of catch and you have to count every single animal, you're working for quite a while! Plus, this will only tell you the biodiversity in one sample, hence it has to be repeated several times to obtain a significant result. In addition, CODEMAP also wants to start looking at these complex terrains in 3D, not just looking at them from above but actually mapping as if you’re in the middle of them, so starting to use 3D animation. This will make it easier to convey a sense of the complexity of the deep ocean to the wider public and to policy-makers, dispelling the still widespread idea that the deep ocean floor is flat, featureless and devoid of life – which it is not! Dear Dr. Huvenne, thank you very much for this interesting interview.